EPA signed the final Effluent Limitations Guidelines and Standards for the Dental Category, also known as the Dental Amalgam Rule, on December 15, and NACWA is pleased that the final version had been significantly altered from the proposed version in order to address the Association’s main concerns. NACWA submitted extensive comments on the proposed rule in February 2015, explaining why the proposal created too much of a burden for publicly owned treatment works (POTWs) to regulate this category. 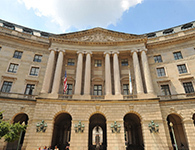 Representatives from EPA and NACWA subsequently held several follow-up discussions about the comments, which resulted in a final version of the rule that significantly reflects NACWA’s input. The rule requires all dental offices that place or remove dental amalgam to install separators and follow two best management practices. Dental offices must provide a one-time certification to their Control Authority documenting that they have installed a separator which meets the requirements of the rule, and that the offices operate and maintain the separator appropriately. Dental offices are not classified as “Categorical Industrial Users (CIUs)” or “Significant Industrial Users (SIUs)” unless specified by the local Control Authority. POTWs are responsible for collecting the certifications from dental offices, but have no responsibility to enforce compliance. NACWA forwarded a letter on December 12 to members of President-elect Trump’s transition team, outlining critical priorities the Association believes the new Administration should focus on, and providing a number of policy recommendations. Among the top issues that NACWA highlighted in the letter were increasing funding for clean water infrastructure, addressing affordability and low income challenges, advancing responsible regulatory reform, and promoting water sector innovation. NACWA has also met with members of President-elect Trump’s transition team in recent days to discuss these ideas and recommendations in more detail. 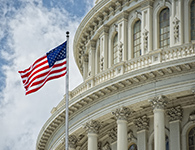 Additional information on the transition letter, along with NACWA’s 2017 political outlook, is available in Advocacy Alert 16-17. In a related development, Trump has expressed support for maintaining tax-exempt municipal bonds during a December 15 meeting with the U.S. Conference of Mayors, according to news reports. The preservation of these bonds has been a central focus of NACWA’s advocacy with the incoming Trump administration as well. While it is a positive sign that the President-elect is committed to defending this important source of financing for local governments, there are still many in Congress who would like to eliminate these bonds. News reports also suggest that Trump is planning to assemble an infrastructure “task force” to guide work on infrastructure investment early in his administration, and NACWA will be closely following developments on this front as well. NACWA is committed to remaining engaged and vigilant on this issue in the New Year, and recommends its members do the same. In the case, Gulf Restoration Network v. EPA, the district court granted, on December 15, EPA’s Motion for Summary Judgment on remand from the United States Court of Appeals for the Fifth Circuit. 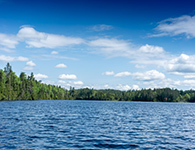 The case involves EPA's response to a petition from activist organizations requesting that the Agency develop federal numeric nutrient criteria (NNC) for the Mississippi River Basin (MRB) and the northern Gulf of Mexico. Activist groups sued EPA in 2012 because EPA declined to make a necessity determination on the need for NNC. 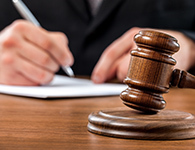 NACWA has been involved in the case since 2012, when it successfully intervened to protect the interests of its municipal clean water utility members and argued against the development of NNC. NACWA calls the court’s decision a victory for the clean water community and for cooperative federalism. In 2013, the district court previously held that EPA must make a “yes” or “no” determination on such a petition, but the Fifth Circuit reversed that decision holding that EPA could decline to make a decision, as long as the Agency provides sufficient justification. The Fifth Circuit then remanded the case to the district court on the issue of whether EPA’s decision was justified. In its December 15 decision, the court essentially found that EPA’s denial of the plaintiff’s petition was sufficiently grounded in the CWA, following the guidelines provided by the Fifth Circuit, particularly in the context of the general cooperative federalism framework of the Act and Section 303 pertaining to water quality more specifically. EPA Administrator Gina McCarthy signed the proposed Public Notification Requirements for Combined Sewer Overflows to the Great Lakes Basin on December 16, which includes requirements for signage, notification of local public health departments and other potentially affected public entities, notification of the public and annual reports. The Agency has proposed that notification of local health departments and the public must occur within four hours of the time the utility becomes aware of the overflow through monitoring, modeling, or other means. EPA was required under its Fiscal Year (FY) 2016 appropriations bill to develop these requirements, with implementation of the new requirements by December, 2017. EPA Administrator Gina McCarthy signed the final Methods Update Rule, which revises the procedure for determining method detection limits, among other updates and revisions, on December 15. NACWA filed comments on the proposed rule, as did several NACWA member agencies. NACWA is presently reviewing the rule to evaluate whether its comments were addressed, after which it will provide more analysis. A pre-publication copy of the final rule and factsheet are available on the EPA website, here. EPA proposed updated National Emissions Standards for Hazardous Air Pollutants (NESHAP) for publicly owned treatment works (POTWs) on December 8, and a pre-publication version of the rule is now available. NACWA’s Air Quality Workgroup held a conference call with EPA last year to discuss the Agency’s risk and technology review for the NESHAP. The Clean Air Act requires EPA to review its standards every eight years, but the Agency had not reviewed the POTW NESHAP since it was published in 1999. Because of a consent decree resulting from a lawsuit brought by the Sierra Club, EPA was required to publish the results of the risk and technology review this month and will finalize the rule by October, 2017. EPA found that the residual risk was acceptable and did not propose any changes to reduce risk. EPA also identified pretreatment programs as a control practice for hazardous air pollutants (HAP), since limiting the concentration of HAP in wastewater will limit the potential for air emissions throughout the system. All the facilities subject to the standards already have pretreatment programs. Save the Date for Communications Bootcamp! In collaboration with the Value of Water Coalition, NACWA will host a Communications Bootcamp that will provide best practices for developing and implementing a strategic communications plan with a focus on earned and social media and crisis communications. This intensive 3-hour session will be held from 1:30-4:30 pm on Tuesday, February 7, during NACWA’s Winter Conference Next Generation Compliance …Where Affordability & Innovation Intersect, in Tampa, FL. Participants must RSVP for the Bootcamp when registering for the Winter Conference. Save the Date! With a new format and new price point (registration is only $100), you won’t want to miss the 2017 National Water Policy Fly-In & Expo, March 21-22, in Washington, DC. With a new Administration and a new Congress taking the reins of power, it is more important than ever that policy makers hear directly from YOU about the challenges facing your utility and your community. The issues of infrastructure funding, affordability, and regulatory reform will be front and center early in 2017, and utilities nationwide must make their voices heard on these critical priorities. This collaborative offering from NACWA, the Water Environment Federation (WEF), the Water Environment & Reuse Foundation (WE&RF), WateReuse, and the Water Research Foundation (WRF) will feature a Rally for Clean Water at the U.S. Capitol and the always popular Regulatory Roundtables with EPA program directors. Together we can elevate water as a national priority – act now! Save the date and make plans to attend!